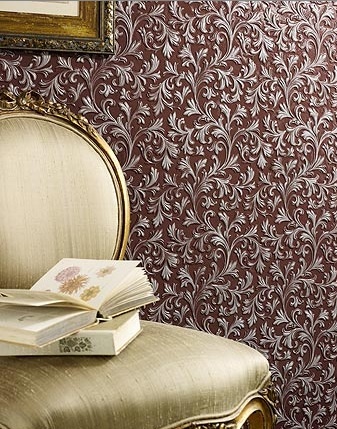 Today’s Design Vocabulary post is about a special type of wallpaper. Do you know the old saying “Not your grandmother’s (insert item here)”? Well, this may have been your grandmother’s and your great grandmother’s wallpaper. And when we’re done, you might want it, too. The Victorians had a common household problem. Soot. We forget, in our post-incandescent-light-bulb world, exactly how many flames it used to take to light up a room at night. The average Victorian home used their light very conservatively, whether it was gas or candle light, but the soot still got everywhere. Today, we think of candle light as being romantic, out of the ordinary. 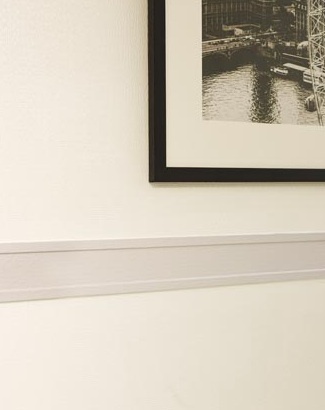 Sconces on our walls are mostly decorative and provide ambient light. I doubt we would find these lights quite so lovely if we had to scrub down the walls after we used them. 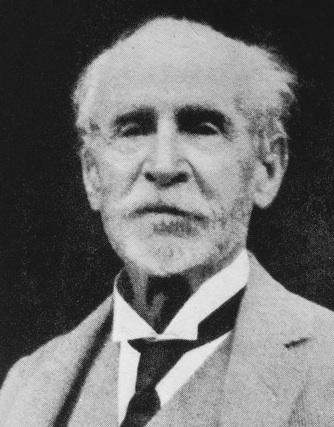 With every light lit in a Victorian room, more soot was added to the room. 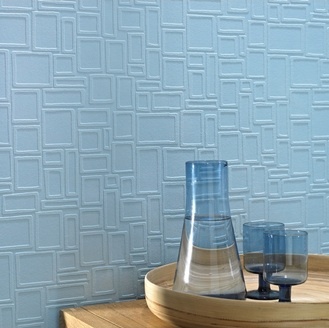 Using the root words of “lin” from the linseed oil found in flax and “crusta” meaning “relief” (in the architectural meaning of the word, not “whew!”), Walton created embossed wallpaper. It is made from organic ingredients, such as linseed oil and wood flour, which is then pressed onto heavy canvas. 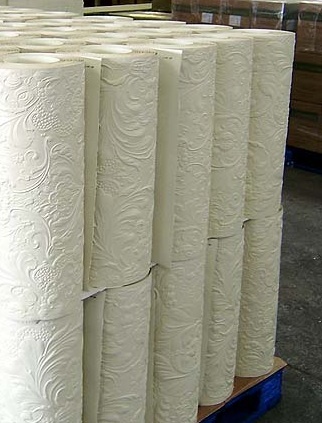 When the canvas dries, the embossed surface becomes rigid and can be sold in rolls like regular wallpaper. 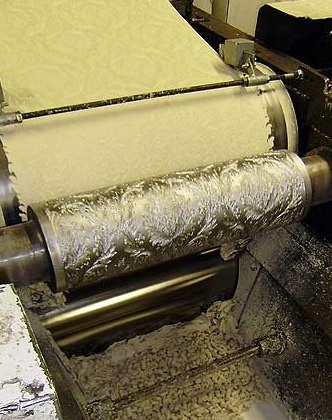 Lincrusta is still in production today. Except where otherwise noted, all of the images for this post come directly from the lovely Lincrusta website, which you can explore right here. It is a product in high demand for historic home restoration and historic public buildings of note, including the White House. Lincrusta was so popular that others started to play with the designs and technology, too. 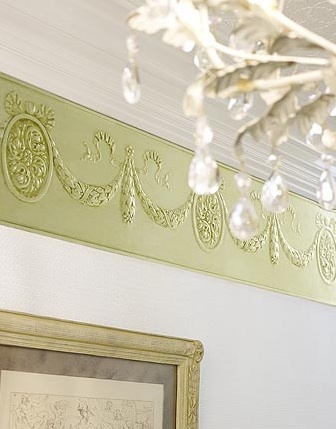 I’ll be back tomorrow with more details on the next innovation in embossed wallpaper, including some very modern styles you may want to install in your home…. 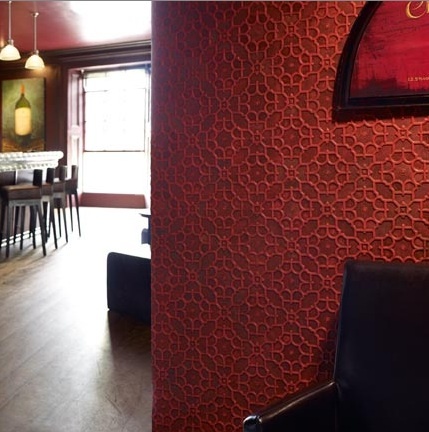 Do you like the idea of textured walls? What pattern would you use and what color would you paint it? 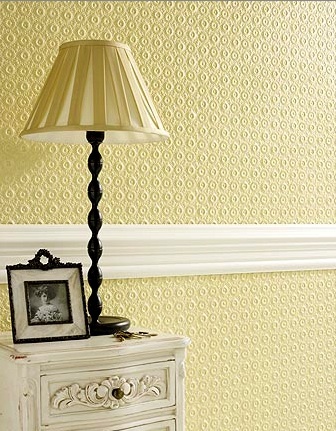 Can you think of an unconventional place to hang texture wallpaper? Leave a comment and share your ideas! 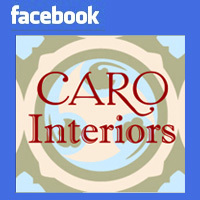 Posted on August 2, 2011, in Design Vocabulary. Bookmark the permalink. 2 Comments. I LOVE that faux paneling. Beautiful! The ceiling before and after is a really eye-catching change. 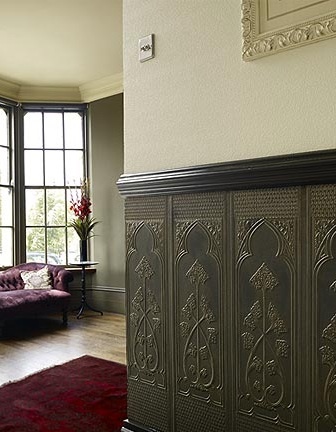 I think I’d like to see lincrusta in an entryway, like the faux panelling, as a nice welcome to my house. It looks so nice.